Breaking with tradition, many couples are engagement ring shopping together, leaving the element of surprise for the proposal. The question of whether to surprise your SO with a ring or include them in the selection process is as old as time. 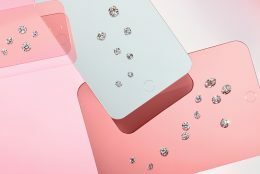 It actually came about rather recently, with online engagement ring shopping offering a far more collaborative experience than traditional stores. But back to the question at hand: to surprise or not to surprise? That will largely depend on whether your SO is more of a romantic or a realist. If they’re the type to swoon at the end of romantic movies, chances are they’re holding out for a sparkling surprise of their own. Then again, if your SO is the risk-averse type, they will probably prefer to be consulted on an item of such personal significance. 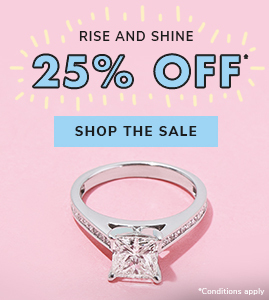 If your SO leaves the engagement ring shopping entirely up to you, they’re taking the jewelry equivalent of a trust fall. That is, they’re trusting you to choose what is sure to be their most prized possession; an accessory they’ll be wearing every day of their life. This might seem daunting at first, but it’s actually quite an honor and an opportunity to demonstrate how perceptive you are. If you have a tendency to notice small details, you’ll easily pick up on the trail of sparkly clues your partner has left behind. See what happens when couples try to design their partners’ dream engagement ring (spoiler alert: hilarity ensues!). If only there was some way to read the inner workings of your partner’s mind… to understand what they really mean when they say, “I’m marrying you, not the ring.” While that technology may still be a few years off, we do have a nifty drop-a-hint feature on JamesAllen.com. It’s a subtle way for your SO to let you know exactly what they want without the awkwardness of them having to say it. Of course, there are other tried-and-tested ways to drop a hint that you should be on the lookout for. “Forgetting” to close the browser is a classic, but they may share their Pinterest boards with you or casually comment on a friend’s or celebrity’s engagement ring. A recent study by The Knot found that roughly one third of couples collaborate on the engagement ring with their mates. People are starting to realize that the proposee is every bit as qualified to make the Big Decision as the proposer – if not more so. If your SO has expressed an interest in being involved beyond mere hint dropping, you’d be wise to take them up on the offer. After all, who better to advise you on ring style than the ring wearer herself? Without a doubt, the best way to know your partner’s ring preferences is to have an open and honest conversation with them. If all goes well, try engagement ring shopping together and make mental notes of their ‘oohs’ and ‘ahs.’ Even if they do have a hand in selecting their ring online, they won’t know how it looks IRL until the big unveiling. With a bit of clever subterfuge, it’s still possible to throw your SO off the scent. If you’d rather collaborate with someone other than your SO, our Customer Service team is there for you 24/7 by live chat, phone, and email. 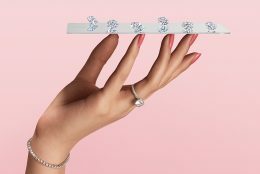 They’ll help you pick out the ideal ring based on your partner’s particulars (don’t worry, you already know all the answers to their questions!). You can even request a Real-Time Diamond Inspection with a certified gemologist who will be happy to walk you through the finer points of your sparkler. 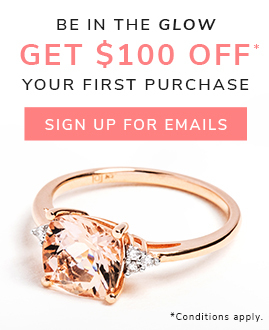 The bottom line is that your shopping experience should be as comfortable as the ring on your true love’s finger. Go with whichever option feels right to you as a couple and then make it as gosh darn romantic as you possibly can! 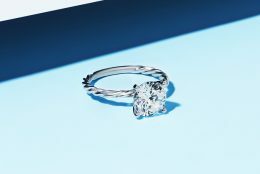 Catch up on our proposal series, which covers everything from choosing the perfect sparkler to planning the magical moment itself. Next in the series: discover the best proposal spots in major cities. Will your ring be a total surprise or is your SO likely to advise? Let us know in the comments below or over on Instagram, Facebook, Snapchat, or Twitter.